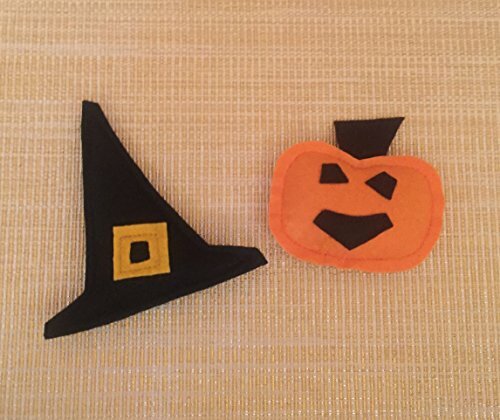 Treat your cat this Halloween to a spooky Jack O'Lantern and Black Witch Hat Catnip Cat Toy. These toys are made with pet friendly materials; Felt, Certified Organic Catnip, a bit of fiber fill and a lot of love. The pumpkin measure about 3.5 inches by 3 inches. The witch hat measure about 4.5 inches by 5 inches. This order is for one pumpkin and one witch hat!